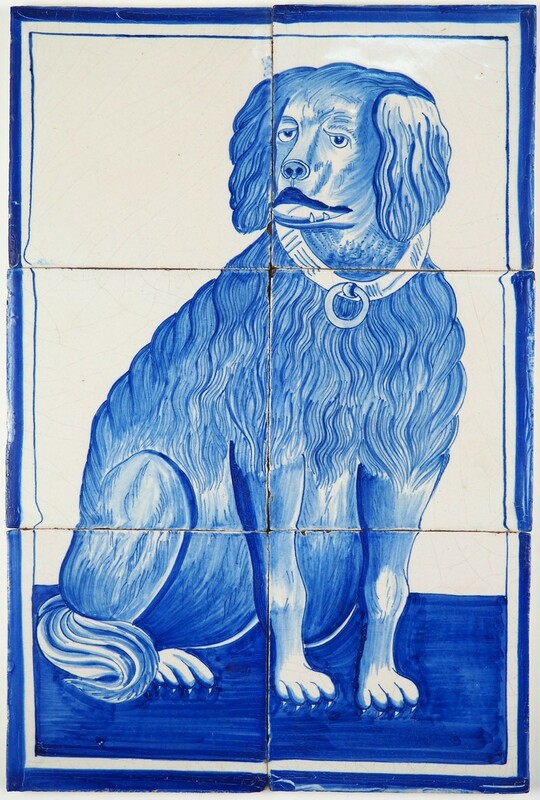 This is a lovely antique Delft tile mural with a dog in blue. 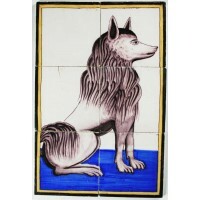 It exists out of 6 tiles and was fabricated in the Dutch city of Utrecht. 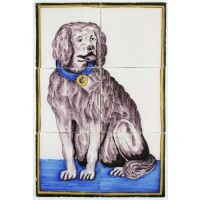 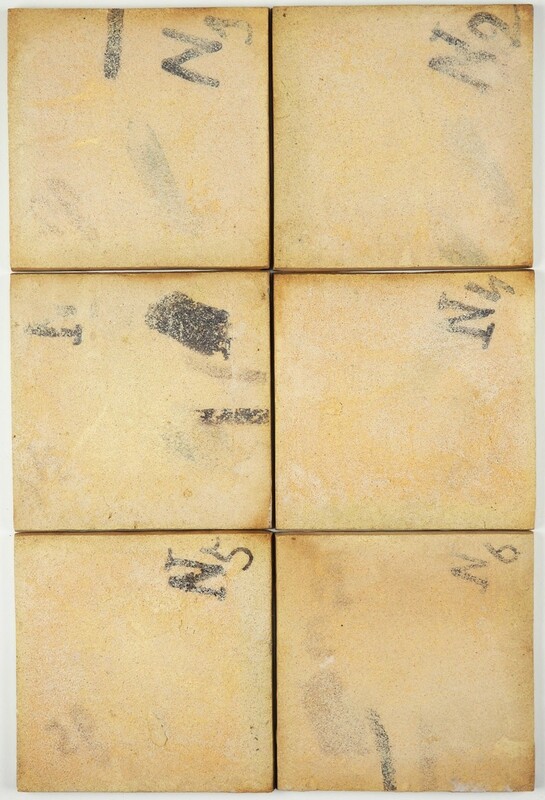 The tile panel dates from the end of the 19th century and is in a mint condition.Great to use for restoration or interior design projects. 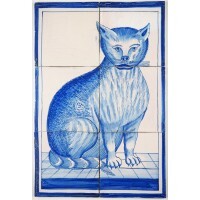 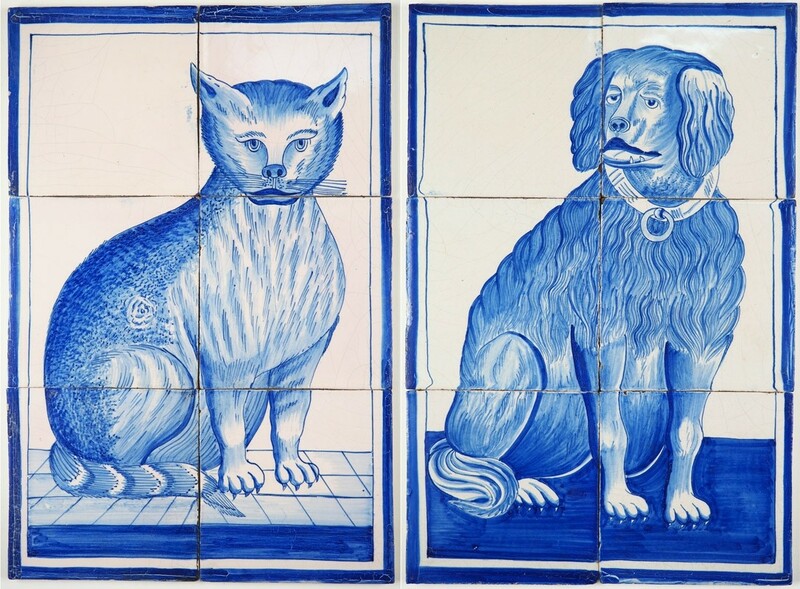 Can be combined with this 19th century tile mural with a cat.